So VMware 6.0 is finally available between our Operating system offers. You are able to install VMware 6.0 with instant setup through your SnelPanel. This edition of VMware comes with new features as well as some great new updates. We will highlight a few of these updates in this post. ESXI 6.0 offers new ESXCL commands. It enables management of local account on the ESXI server. The ability to add, list, remove and modify accounts across all hosts in a cluster can now be centrally managed using a vCenter server system. 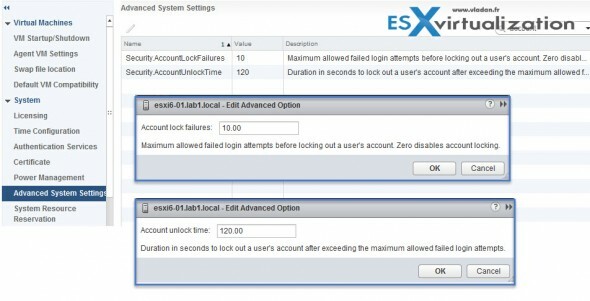 There are also two new account lockout settings available in ESXI Host Advanced system. The settings are for the login attempts and account lockout duration. These settings only affect the SSH and vSpere web services connections. So direct access to the console and console shell are both not affected. In the previous editions of ESXi, password complexity changes had to be made by hand-editing the /etc/pam.d/ passwd file on each ESXi host. In this edition, you can do this by adding an entry in Host. It is possible to enable centrally managed setting changes for all hosts in a cluster. VMware has simplified vCenter. It is a lot easier to automate the installs. There are no longer separate installers for vCenter services. However, if you are running Windows version, VMware vSphere Update manager remains as a standalone Microsoft Windows Installation. In this edition vSphere vMotion capabilities have also been enhanced. You are now able to perform a live migration of virtual machines across virtual switches. You can also vMotion between different Datacenter objects, folders and virtual switches within the same vCenter. Next up, a great feature, the new support for Multi-processor fault tolerance (SMP-FT) which allows continuous availability for virtual machines with zero downtime and zero data loss. Through the use of a completely new fast-checkpointing technology, vSphere FT now supports protection of virtual machines with up to four vCPUs and 64GB of memory. In the previous version, this was restricted to a single vCPU. The majority of mission-critical customer workloads can now be protected regardless of application or OS.